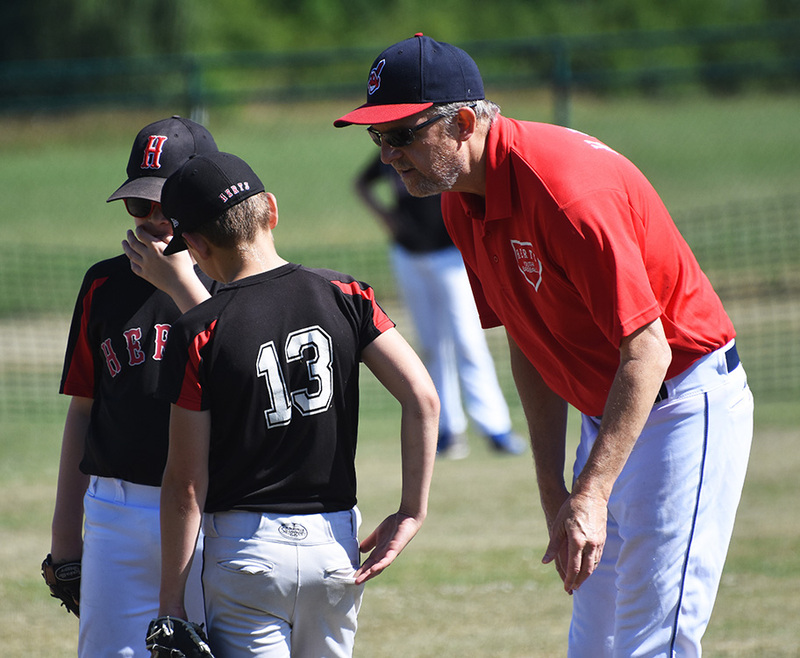 The Juniors made the first trip of the season to Hemel to take on Herts at the Majors level, although with summer holidays just round the corner both sides included some Minors in their line ups. 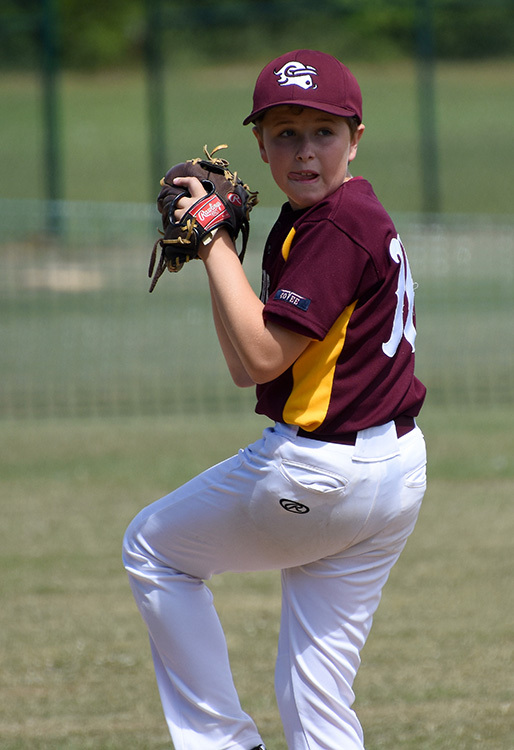 Lleyton, Reuben and Melbourne from our Minors team, all made their Majors debut to day. 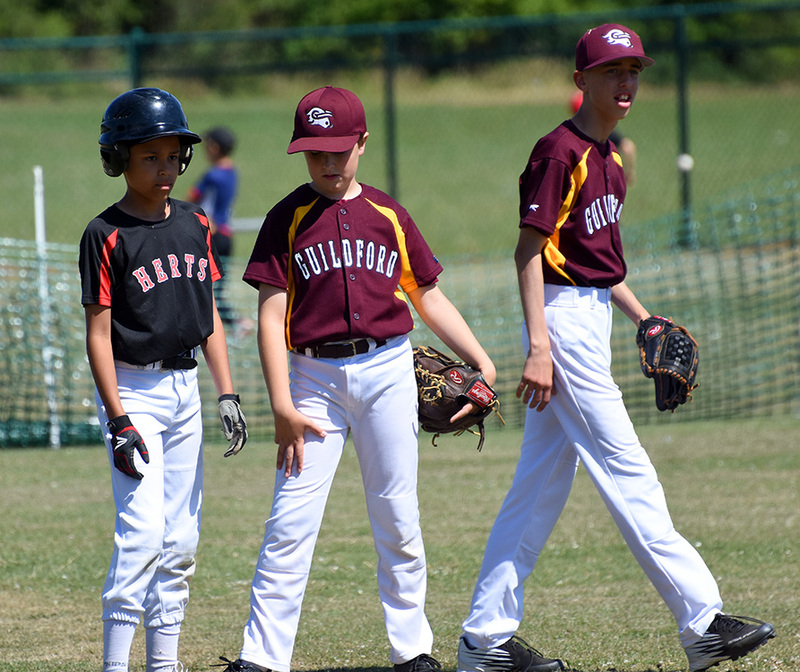 Their first game, sadly, ended in a crushing 12-0 defeat as they adapted to the quicker pitching on what was turning into a hot day. 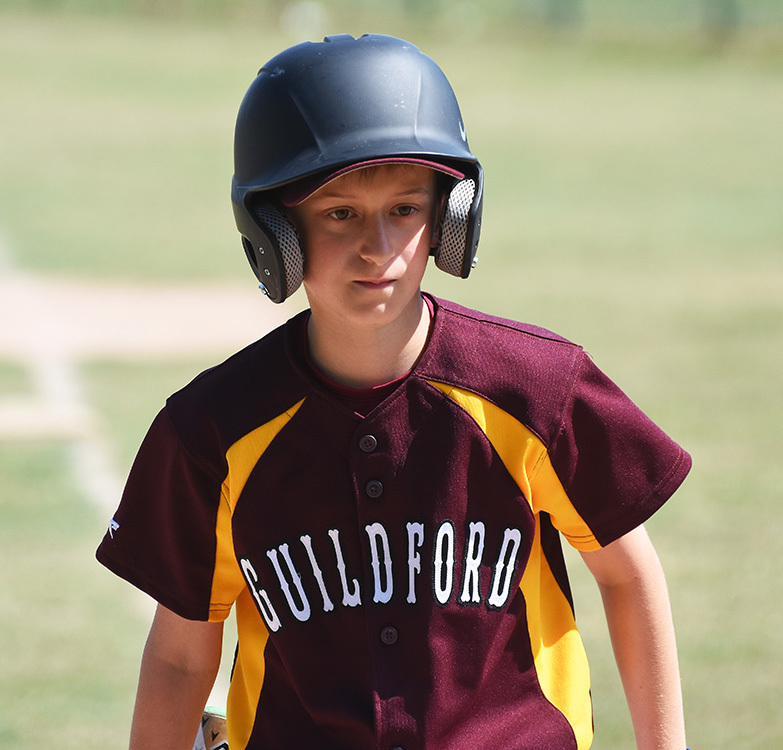 Guildford’s first innings at bat ended quickly when Herts turned a double play leaving Emile and Oscar stranded on the bases for no score. Brad’s first pitch went for a single and further runs crossed, with the innings quickly over under the 4 run maximum rule. 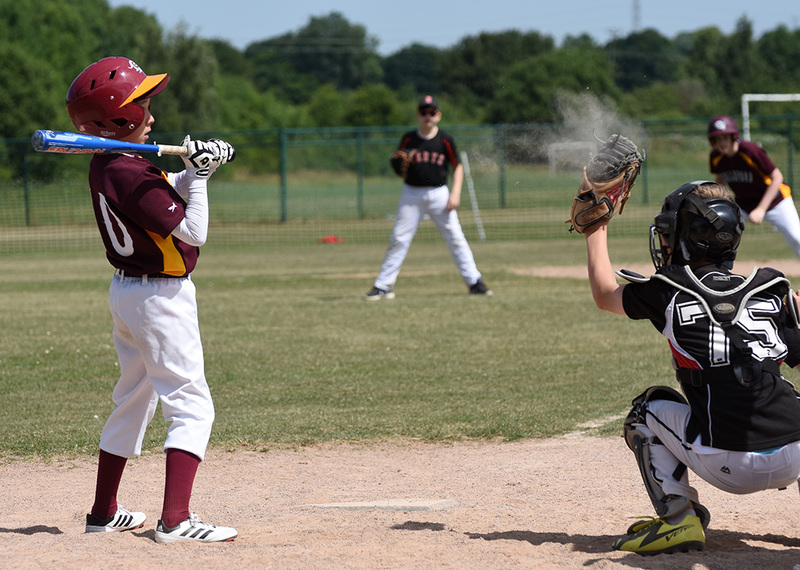 At the top of the second, a couple of batsman struck out and we had Reuben and Martin on bases with walks. 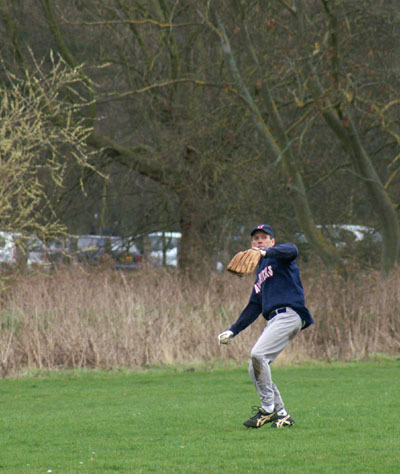 Kieran hit what looked a sharp drive into the gap, but the Herts infield were able to come up with, and end the inning without any runs crossing. 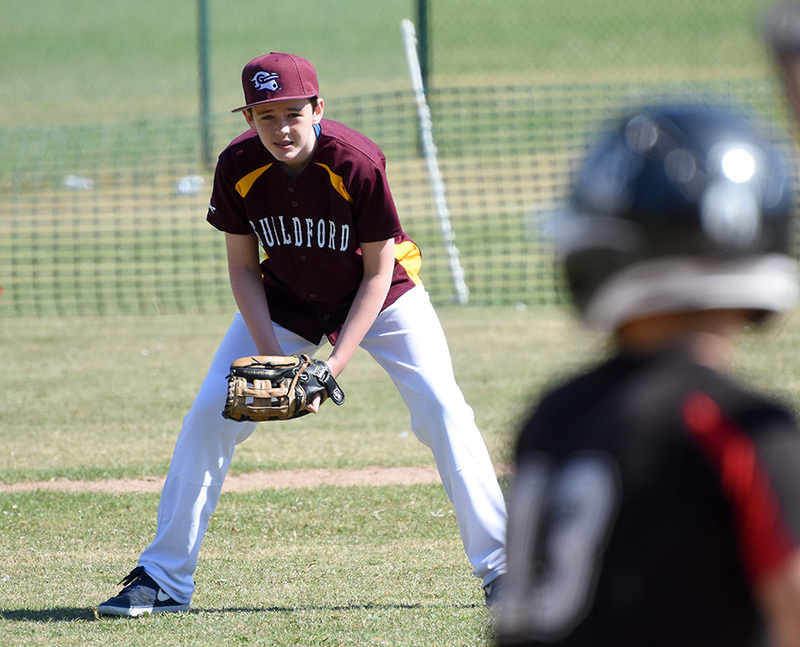 Brad started to adapt and struck out the first batter but the next couple in the order singled to center field again playing the maximum 4 runs. 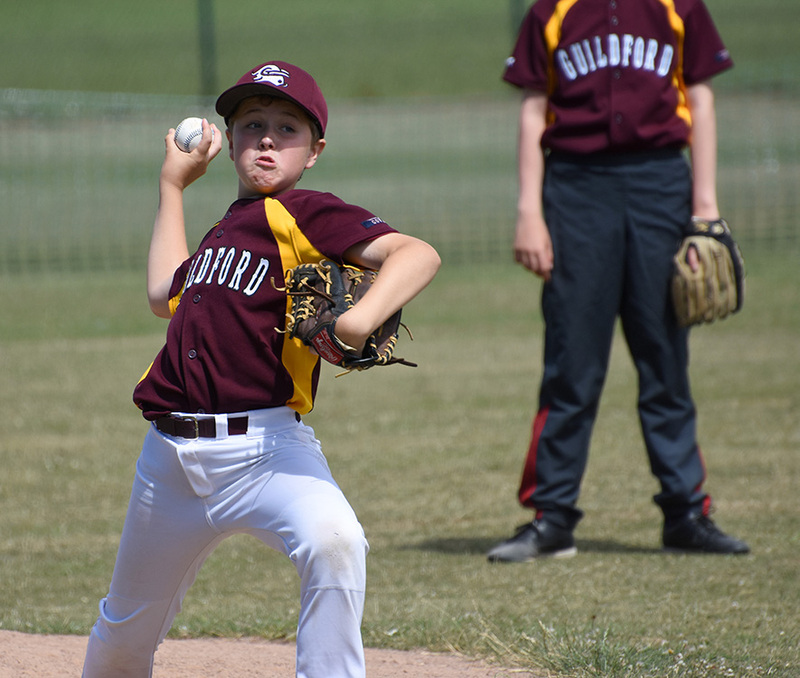 At the top of the third, Oscar and Owen both walked and Jack singled but with the runners holding, the next three all struck out, to leave the bases loaded, and Guildford failing to score. 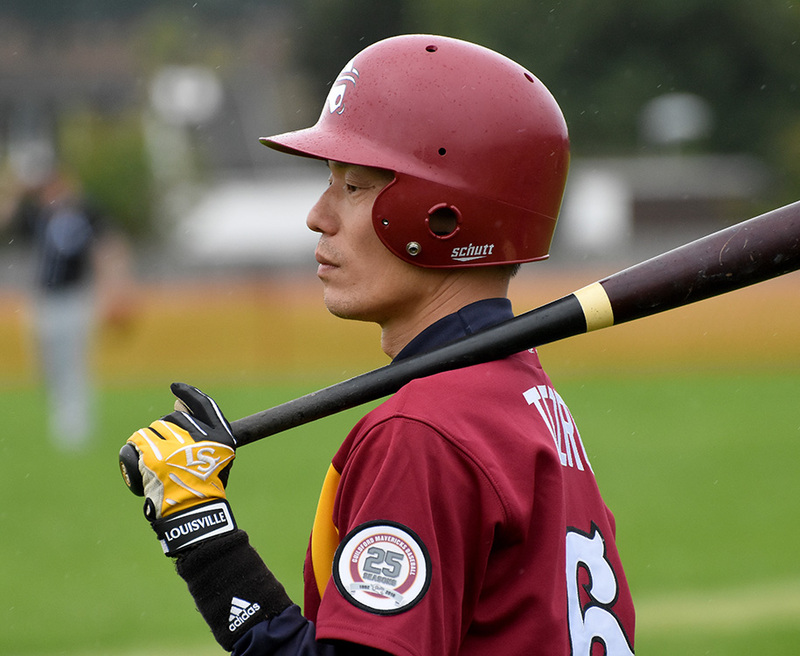 Herts took further advantage in the bottom of the 3rd, as Brad begin to tire, and the walks and wild pitches, loaded and unloaded the bases. 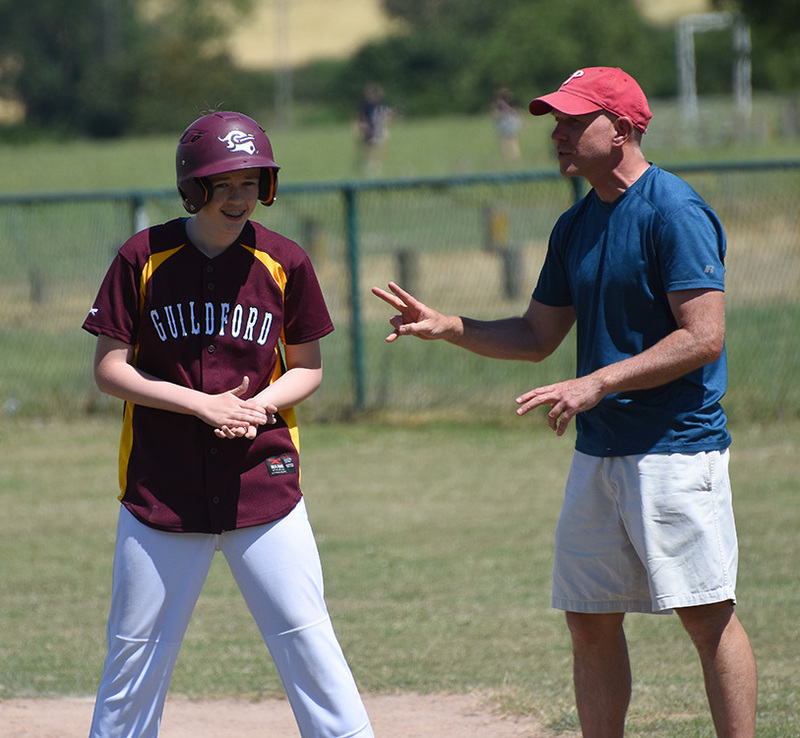 Guildford’s last chance to put some runs on the board, was in the top of the fourth. 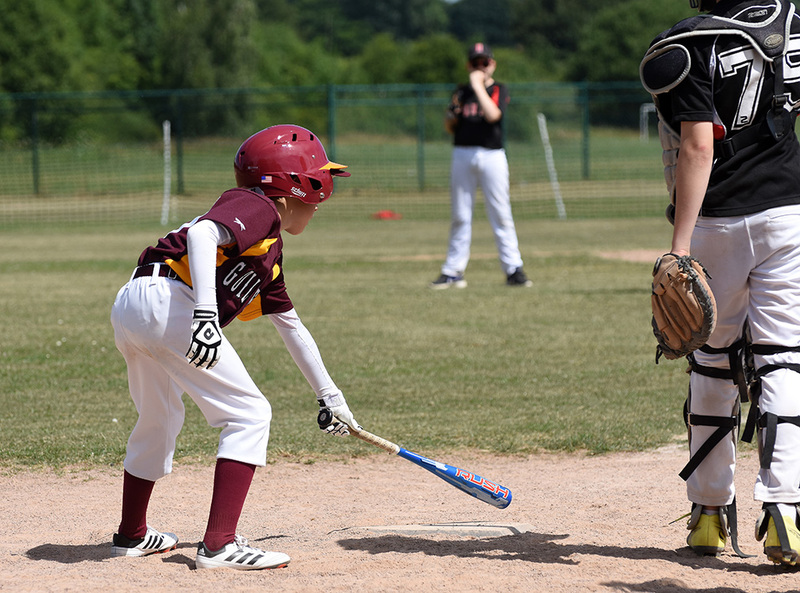 Fred singled, and Kieran cheekily bunted himself on, whilst advancing Fred to second. 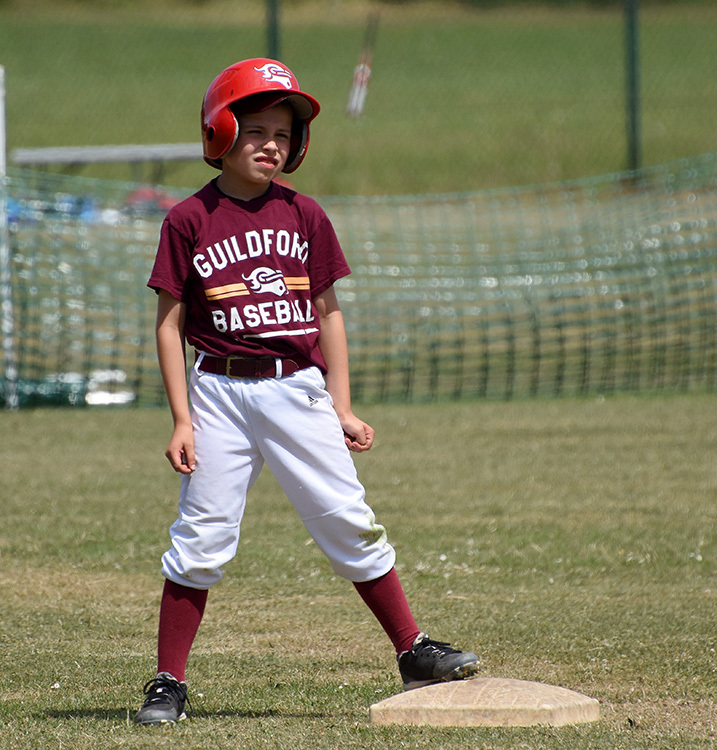 However 3 more strike outs, stranded these runners, and the game was up for Guildford. 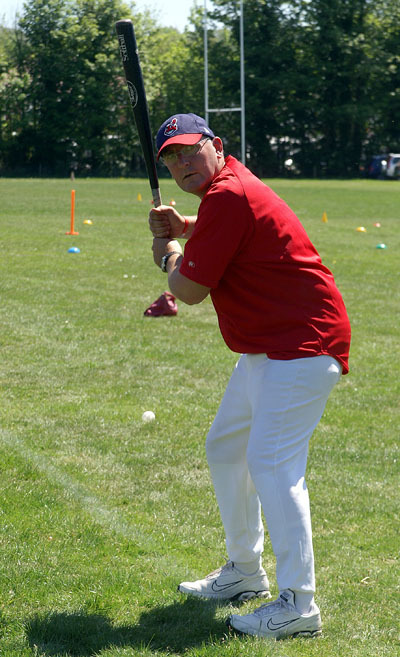 A lesson in not only accurate pitching but also preventing wild pitches and passed balls, as with a 60 ft backstop, there was no runner thrown out on the day, advancing. 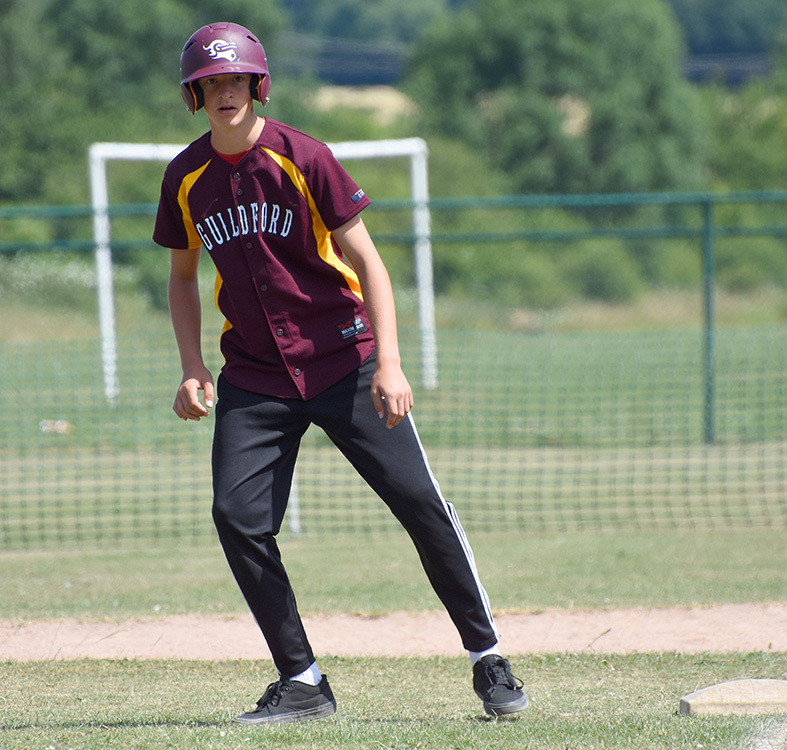 The second game of the doubleheader was a much close affair, but Guildford again ended up on the wrong side of the scoreline, as Herts walked off with a win in their last at bat. Walks to Alex and Melbourne early on and Emile’s big single secured him an RBI and our first run of the game. 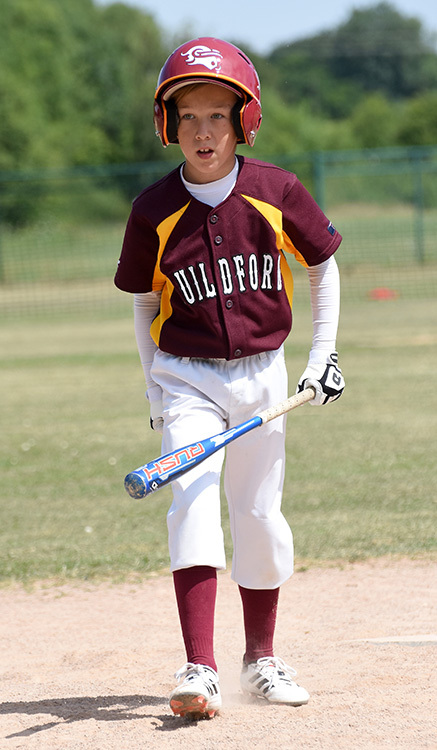 Kieran hit another single allowing seven year old Melbourne to run home. 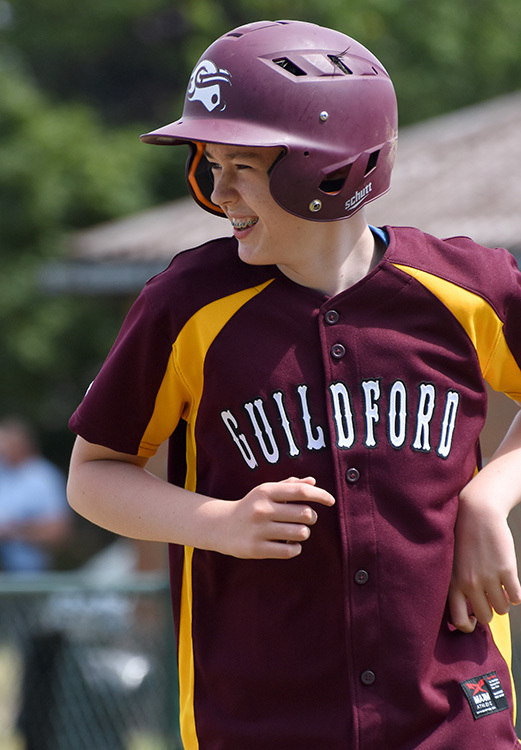 Lleyton got another walk to first and Guildford managed three runs in the first innings. 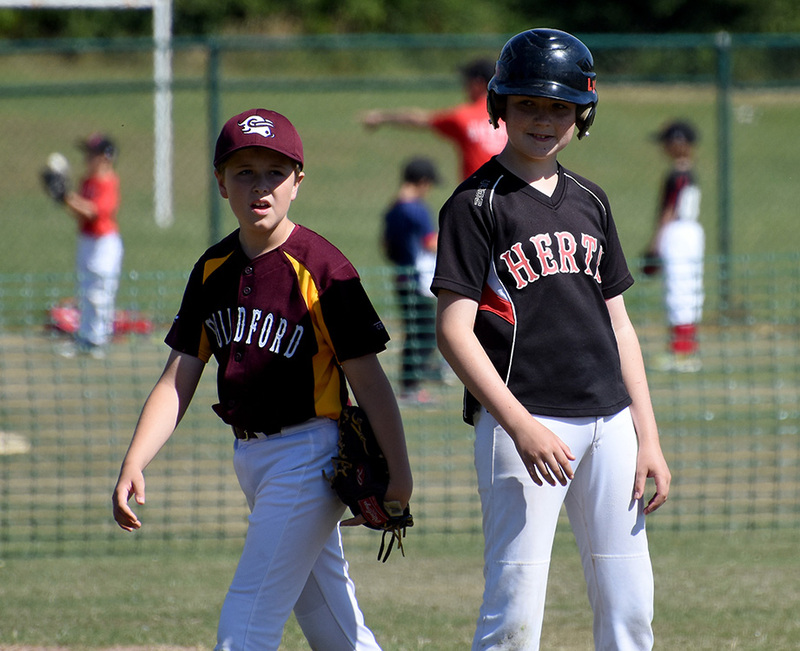 Jack walked a couple of Herts players early on who went on to score as he adapted to pitchinf off the flat, but he stopped it there as he struck out the next two batsman with Brad at catcher for the injured Owen, throwing the final batter out at first. 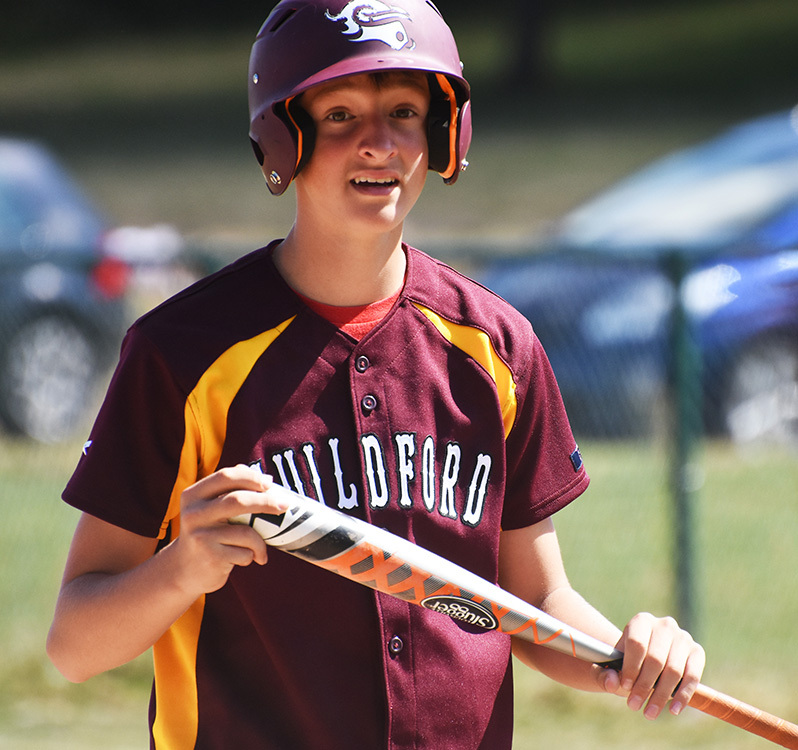 At the top of second, Fred had an RBI single to centre driving Jack home, who had reached on a walk. 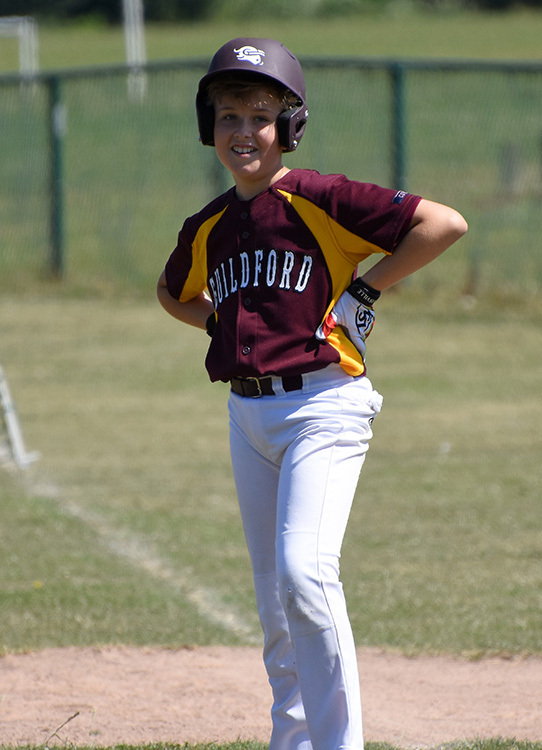 Both Alex and Melbourne walked again and Kieran who was having a great day with the bat, lined one into LF, as Guildford scored 3 more in that inning.With the score at 6-2 to Guildford, Jack’s pitching was fast and accurate but this gave the Herts batters an opportunity to put bat on ball, and twice singled up the middle. 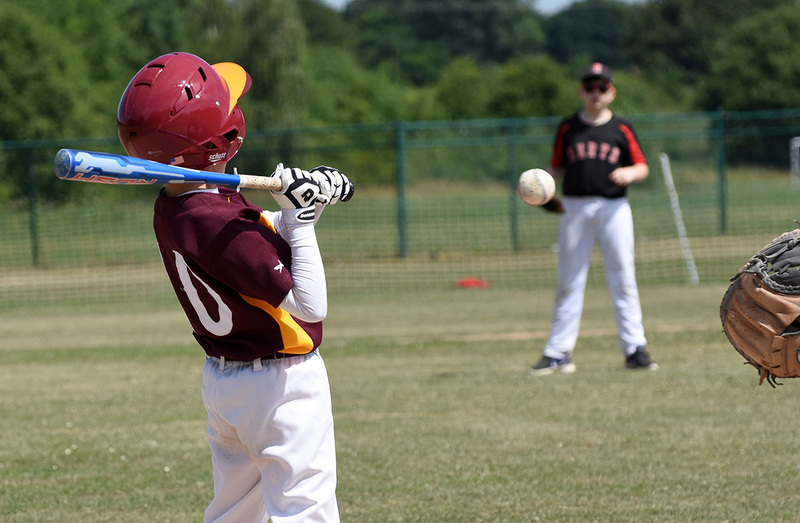 However, although Jack struck out the next two batsman, they finished with a 4 run maximum as runners were able to take advantage of passed balls. The 3rd inning started well, as Brad lined one to the fence in LF. 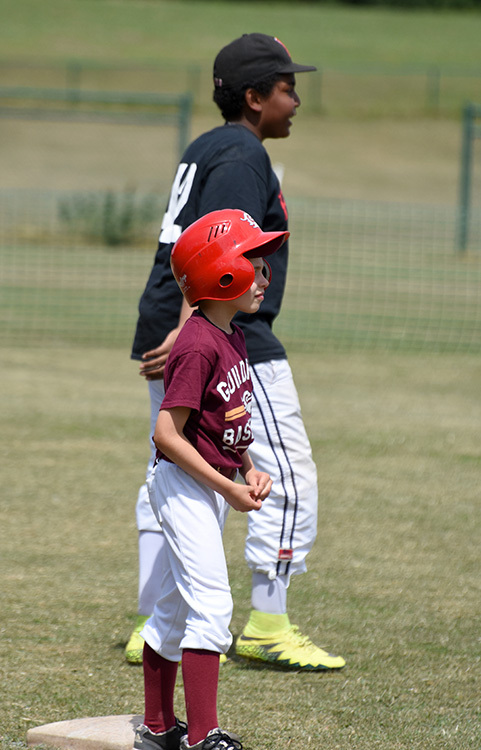 Owen was on base following a walk and Fred followed with another single allowing Brad to score. 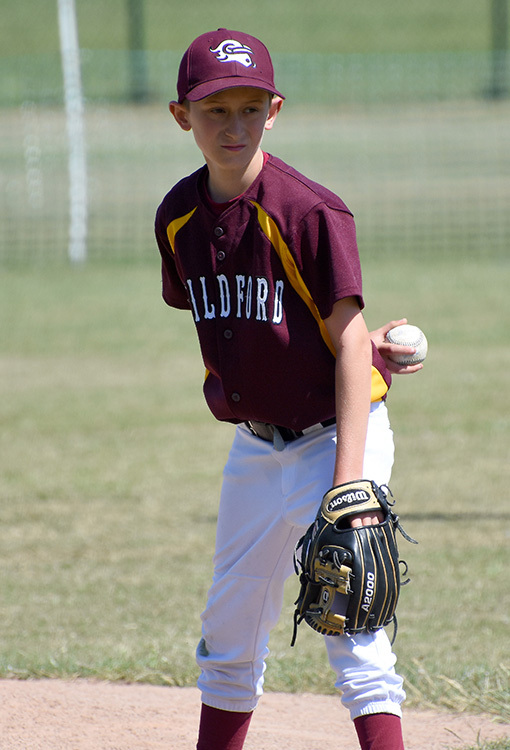 However, the inning ended as Fred was doubled up at second, on a pop fly from Alex. But it left Guildford leading 9-6. 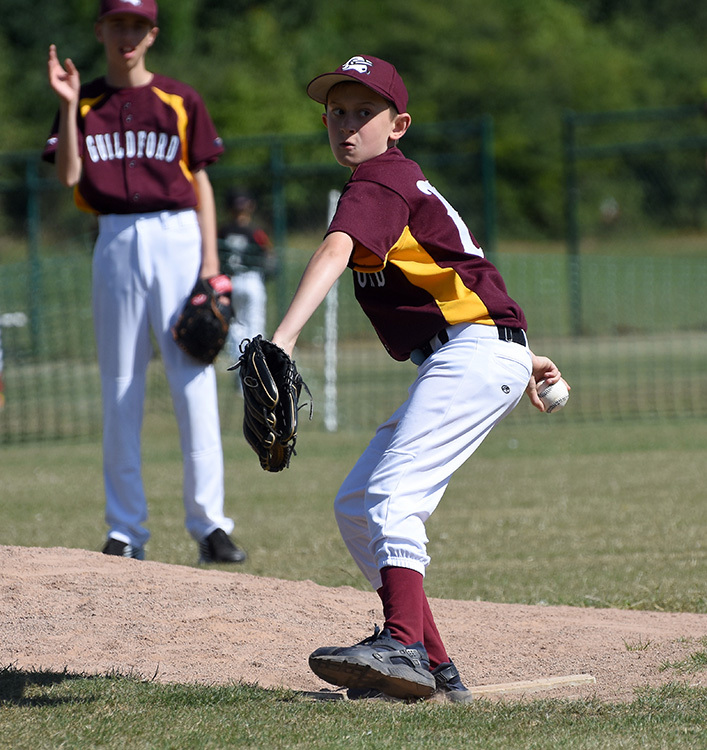 Oscar took over in the bottom of the inning as relief pitcher for only the third time in a game and did well to adapt but the 4 run maximum was reached, as Herts took advantage of some wildness. But overall, an enjoyable day in the summer sunshine, and plenty of opportunities for players to learn and develop, as many tried new positions and at a new level. 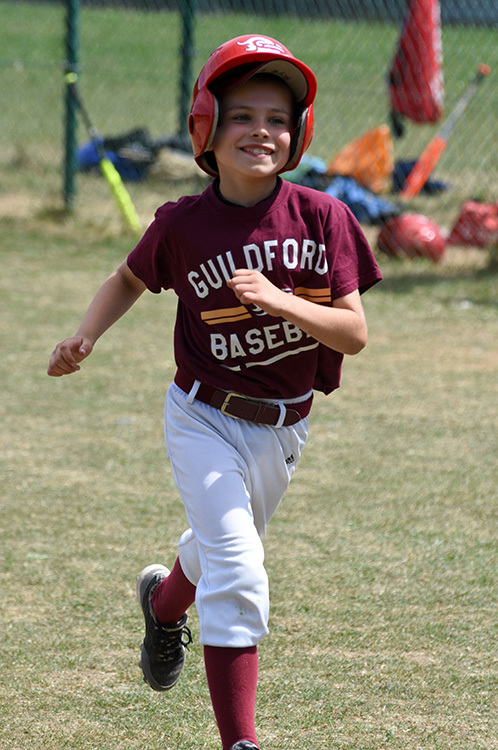 Next week the teams meet again, as Herts travel down to Guildford.